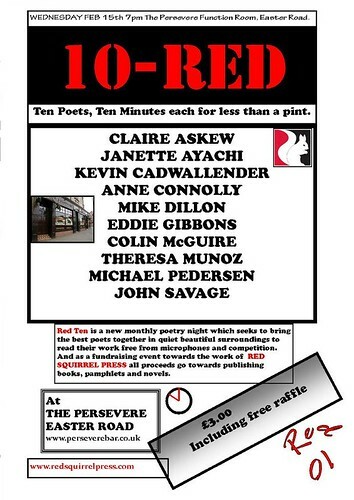 10-RED, Wednesday 15th February, 19.00, The Persevere Function Room, Edinburgh. £3.00 entry. “Making Poems, Writing Histories, Excavating Myths”: a lecture by Claire Askew for the Melrose Literary Society, Tuesday 21st February, 19.30, The Ormiston Institute, Melrose. £3.00 entry, non-members welcome. The truly lovely people at the Melrose Literary Society have asked me to come and talk about my current research, and I am incredibly flattered, very excited and utterly terrified all at once. Come and hear me grapple with the question of Why We Write Poems, and investigate the ways in which poetry informs history, history informs myth and the two inform all kinds of creative writing. You’ll also get chance to ask me probing questions! Edinburgh Literary Death Match: March, Tuesday 27th March, 19.00, Voodoo Rooms, Edinburgh. £5.00/£8.00 ticketed — get tickets here! You’ve probably heard of the massive worldwide phenomenon that is Literary Death Match…? If not, get on it, because it’s a big deal! 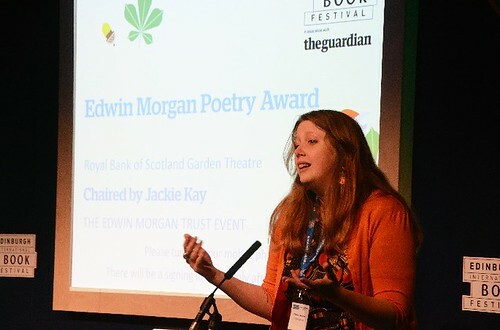 I’m super flattered to have been nominated (by the fabby @LynseyMay) and invited to perform at Edinburgh’s hippest literary outpost. The Voodoo Rooms is a gorgeous venue and I’m up against some serious talent… Gavin Inglis = legend! Grab your tickets, quick! Details of this one are still TBC, but let’s just say it’s going to be good. Watch this space! Got an event you’d like me to read at? Talk about? Attend? Email me via claire @ onenightstanzas.com and tell me about it! Posted in Participate! | Comments Off on Where is Claire?